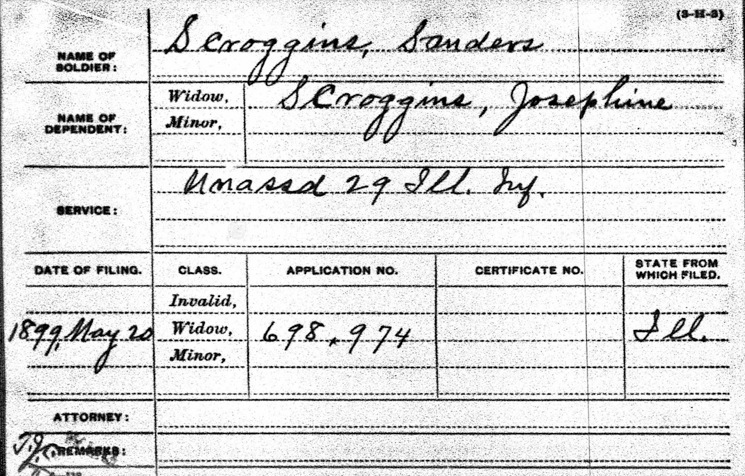 There was a soldier named Sanders Scroggins from Illinois. 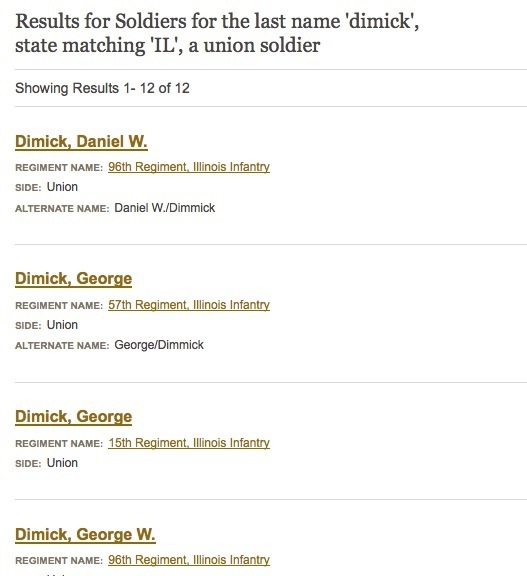 There was no soldier named Franklin Dimick (Sarah’s brother). 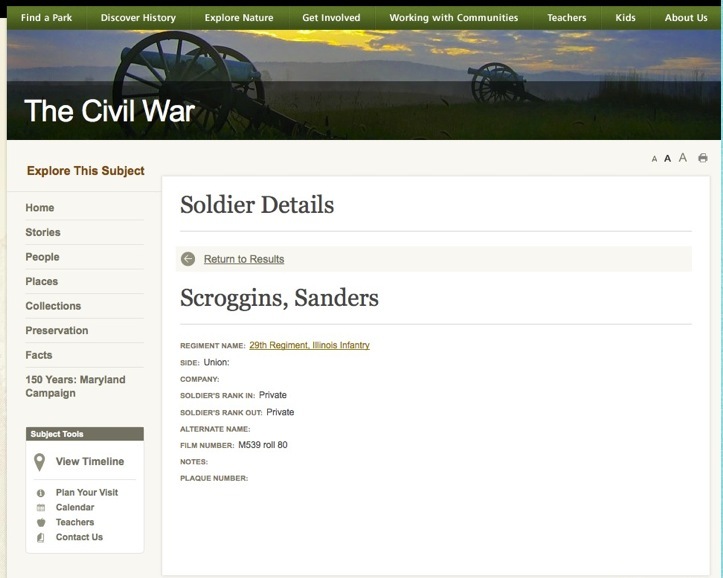 This told me that Sanders Scroggins enlisted during the Civil War. 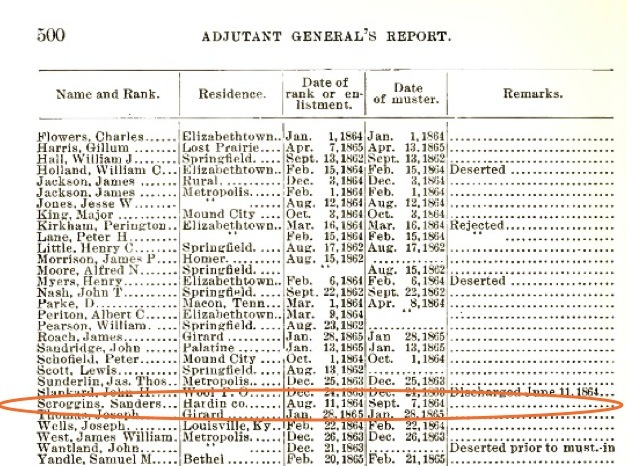 Sarah (his wife) had a brother named Franklin Dimick. No entry was found for him. Once I determined Sanders had enlisted, I began searching for more information about his service. 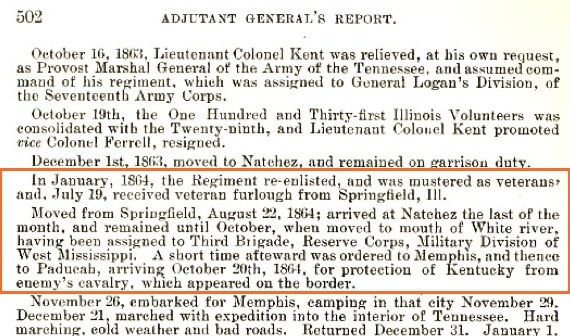 One great online repository for military records is Fold3.com. 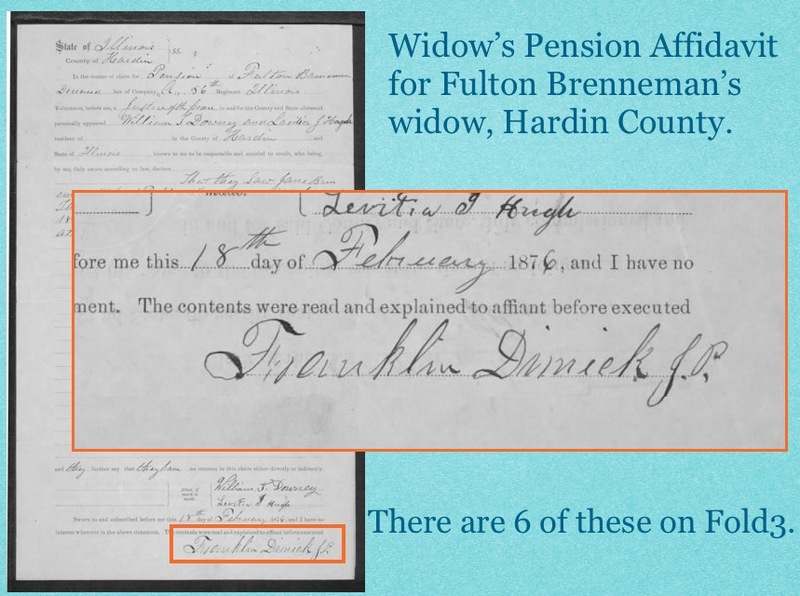 There I found a copy of a Widow’s Pension from his widow (and third wife) Josephine Scroggins.